Well, it looks like Amazon spoiled Sony's fun. Before Sony could properly announce the new God of War, the retailer posted the game on their site. They've since taken down the listing but not before gamers grabbed the box art and teaser trailer. 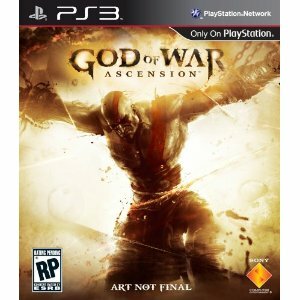 God of War: Ascension brings back Kratos for a new adventure. They didn't call the game God of War 4 because it's not a sequel. Instead, it takes place much earlier in the series' timeline. “Many know the legend of Kratos, the mortal turned god who brought down the very walls of Olympus. But there was a time before Kratos became the monster known as the Ghost of Sparta," says the voiceover in the trailer. "A time when something other than rage consumed him, a time when in spite of the madness that plagued him, Kratos would break his blood oath to an unjust god. A time when he would no longer be bound in blood." In other words, they're making another "interquel" set between the events of previous games. I doubt God of War fans will complain about getting another game. Still, after God of War 3's really ballsy ending, I think most fans were expecting an entirely new chapter for the series. The trailer and box art both confirm that Ascension is being developed for the PS3. Update: Now that the genie's out of the bottle, Sony officially announced the game. Game director Todd Pappy announced on PlayStation.Blog that they'll be holding a live streaming event for Ascension on Monday, April 30th at 8 am PST. The event will be viewable through PlayStation.Blog and the game's Facebook page.